For many Americans, especially the Baby Boomer generation, retirement is either here or just on the horizon. The first of the Boomer generation to hit retirement age was in 2011 and according to the National Association of REALTORS®, the population of baby boomers entering retirement is projected to be 10,000 people a day, for at least the next two decades! Mind=Blown! This is the largest mass retirement in our country’s history. With retirement comes the promise of R&R, but you can only relax if you have a way to pay for it (reality is a tough pill, ugh!). Many people are not financially prepared for retirement and thus, the average retirement age keeps creeping up. It may be time to think outside the 401K box. Don’t get me wrong, having 401Ks, stocks, bonds and other traditional investments is great! However, diversity is key in investing and any investment that sends you a check every month while simultaneously growing in value is a huge win in my book. Rental property investing is not an overnight fix, but you can start seeing income generating as fast as you can close on the purchase of the rental. So how much cash do you need? You’ll need to cover the down payment, inspection fees and closing costs. If you finance the property, most lenders will require at least 20% down on an investment property. The rental business is not difficult, if you take the time to know what you are doing. There is a lot of money to be made, but uninformed decisions can cost you big time. The two biggest factors that will make or break you as a landlord are the property you select and the tenants you select. Neither should be rushed. It pays (big time) to wait for the right one. The perfect property may not be listed yet. Don’t just buy the first thing you see out of desperation to invest in something. You want to invest in the one that is something worth investing in! The same goes with selecting tenants. The most costly mistake you can make as a Landlord is putting any warm body into your property—especially because this rental income is akin to a paycheck during retirement! Fair housing rules apply, but you need to determine your tenant selection criteria and stick to it, no exceptions. Tenant selection is tricky, but if you don’t want to deal with it, consider hiring a professional property manager to take care of it all for you. There is no better resource than an experienced Realtor® who works with investors and has a thorough understanding of both the local market, property management and investor goals. Your Realtor® can help you determine the property’s value as it sits, the property’s monthly rental value and projected sales price after remodeling. It is also wise to discuss the impact of adding rentals with your CPA/financial advisor(s) and insurance agent. The two biggest downsides to rental properties are the lack of liquidity (meaning you look good on paper but would have to sell the property to get the “liquid” cash out of it) and also the property management aspect of being a landlord. If you get into a bind and need the cash out of your property, you can always sell it. Keep in mind that the moment you need the cash may be a hot sellers market or it may be in a declining market, which can both influence the sales price. You never want to invest every single penny you have into any investment. Just like with anything else, you need to keep a monetary cushion in case of emergency repairs or vacancies. I would advise to use an 80% occupancy rate in ROI calculations, just to be on the safe side and account for the possibility of a future down rental market. Better to err on the side of caution than buy a bad egg for your nest. If you think that rental properties are not for you because you don’t want to deal with renters, you are not alone. Most people don’t want to deal with it because it can become a full time job, if you let it. However, many people don’t realize that you don’t have to deal with it. Full time property management services make it easy—literally all you do is cash the check. The agent does it all (markets the property, finds the tenant, lease paperwork, rent collections, move in/move-outs, repair requests, tenant management and more) for a nominal fee. Be sure to hire a property manager with references, as the manager needs to have a thorough understanding of all aspects of property management. To many investors, a property manager is their best asset, as a good property manager can make you a lot of money and turn rentals into a truly passive income stream. As exciting as retirement is, it’s also terrifying in its own way—a time to focus on the not-so exciting world of financials and how much living actually costs. It’s not pretty and the truth isn’t fun. However, if you get a bit creative, it can be done. 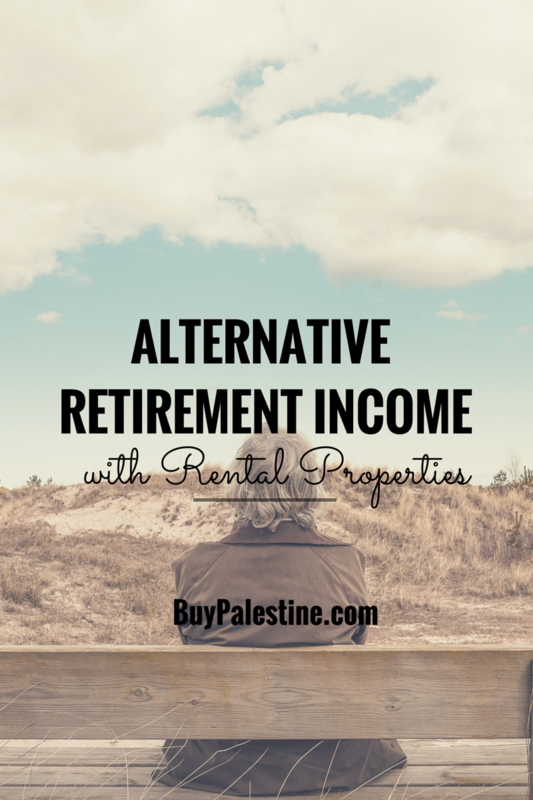 You never know, rental property may be just the new adventure you are looking for so that you can truly enjoy retirement. Anything you can do to add to your bottom line will only help to ensure that you can not only afford to live, but you can truly live well. Lisa E. Priest is obsessed with all things Real Estate and is a Palestine, Texas REALTOR® and Property Manager with Picket Fence Realty, Inc. You can reach her via phone or text at 903-948-3343 or read more at BuyPalestine.com.